It is small in size but faster than the main memory. 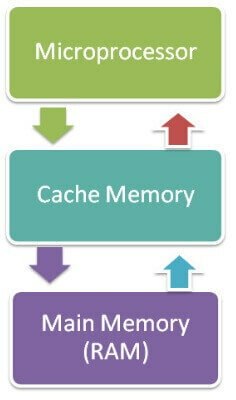 The CPU can access it more quickly than the primary memory. It holds the data and programs frequently used by the CPU. So if the CPU finds the required data or instructions in cache memory it doesn't need to access the primary memory (RAM). Thus, it speeds up the system performance.